Flow is a new library for Kontakt with a focus on ambient sound and motion. The library contains 192 soundsources in the following categories: Pads, Textures, Soundscapes and Ambiences. Each of the 192 can be loaded up in one of the 4 layers and like this you can create a great amount of light and dark ambient sounds. The 4 layers contain seperate controls for the ADSR, LFO, Volume, Pan, Filter and Filter Envelope. This gives you a great amount of control to shape the sound to your need. There is also a randomize feature that randomizes the 4 soundsources. On the main control page you find as well a big Controller Knob which can control each of the following effects – Filter, Skreamer, Chorus, Flanger, Stereo With and Rotary. You can select multiple effects to be controlled at the same time. Each of the effects can be futher adjusted on the FX page. On the FX page you find as well the settings for the Reverb and Delay. The library comes with a collection of 100+ snapshots (presets) and it’s easy to create and save your own collection of snapshots. In future updates new snapshots will be added to the library. 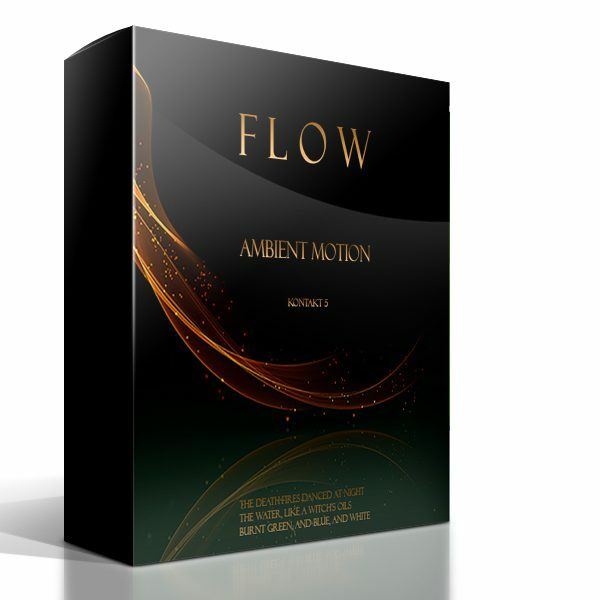 Sample Sound Review gave Flow a 5 star review! “The presets in Flow are divided up into 4 categories: Ambiences, Motion, Pads, and Soundscapes. I found these presets have a great balance of mood and tone. The characteristics of the sonic environments are magnetic. Creating beautiful textures and deep atmospheres is not only simple but extremely quick. I own several atmospheric and ambient based libraries but for some reason I was never able to get the sound I wanted that easily compared to this library.